If you have lost the book of illustrations for a set of clip art CD’s like Art Explosion, or tried to browse through hundreds of .eps files looking for clip art then you know how frustrating it can be without a thumbnail viewer. The following methods are extremely useful for browsing eps, ai, and other vector files on CD or hard drive. 1. Download and install the latest version of GostScript. 3. Open Xnview and navigate to the folder containing the images you want to view. That’s it, you’re done. This method is easy and the interface is a little nicer than the next method, but the down side is no thumbnail previews of the file in the folder. You actually have to select the icon for it to display the image. 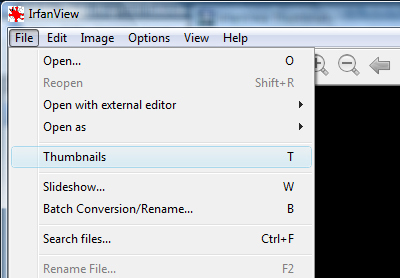 However, given a chance to load, you can use the arrow keys to quickly flip through the files one at a time. Note: not all file versions of Adobe Illustrator are supported. 1. Download and install GostScript. 2. Download and install IrfanView 3. Next, download and install the plugin pack “ALL PlugIns” from Irfanview. This make installation easy as it comes with its own installer. No need to search for the plugins folder. Software.com – download IrfanView plugins 4. Finally, open IrfanView and go to file –> Thumbnail, a new window will open that will allow you to navigate to the folder containing the files. Click on the folder and the images will appear on the right. This is the recommended method. The interface is not glamorous but all of the eps/ai files in the folder will appear as thumbnails in one window, so searching through hundreds of files for that perfect image is a breeze. Yeah Adobe bridge is the soultion! very thx! Adobe Bridge works wonders if you have it. Gostscript will still need to be installed. If you have another solution, please post it here. Find out where a phone call came from.